Before my arrival, I was struck with an unfortunate case of flu. This meant the first two days of my visit were spent resting in bed with a fever, which cut my visit even shorter and interfered with some of our initial plans. However, by Thursday night I was feeling much better and even managed to sample some Peppe’s Pizza! B had been talking about how great this was for some time now, so it was great to finally try it. I was very impressed; the flavours were amazing! After pizza, we figured it would be a good idea to take a short stroll into the city and go for a few beers since I hadn’t left the house since my arrival. I was quite surprised to see that some of the local watering holes were very busy considering the prices of alcohol! After having a few drinks at Garage, we then moved on to another place, Kvarteret. We were joined by a few of B’s friends and ended the night back at Garage. It was an enjoyable evening. By this point, I had very much warmed to the idea of Bergen being my new home. Yesterday we decided to explore a little more around the city. The weather was a little cold still but the sun was shining. 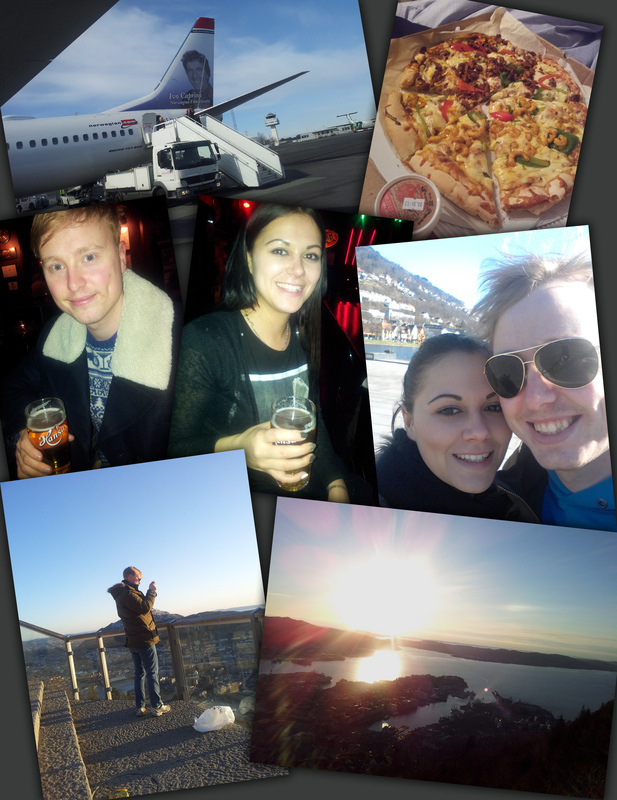 In the evening we took the Fløibanen to the top of Fløyen and had a picnic. Thew views were breathtaking! Next time, I aim to climb the stairs to the top! Obviously this would not have been a wise move whilst my energy levels are still a little depleted!